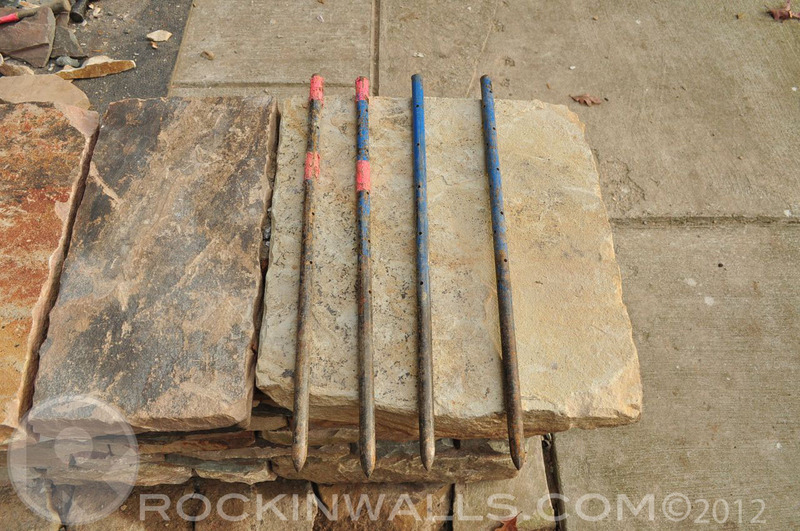 When I have large stones such as cap or step stones I use 3/4" concrete form steel stakes. The stakes allow me to move stones into the right place. Saving a great deal of extra labor. The only down side is some times they role so well the stones can get away from you. Normally these steel stakes are used to help build forms for concrete. You can find them at any home improvement store. They have several holes for nails to go through. 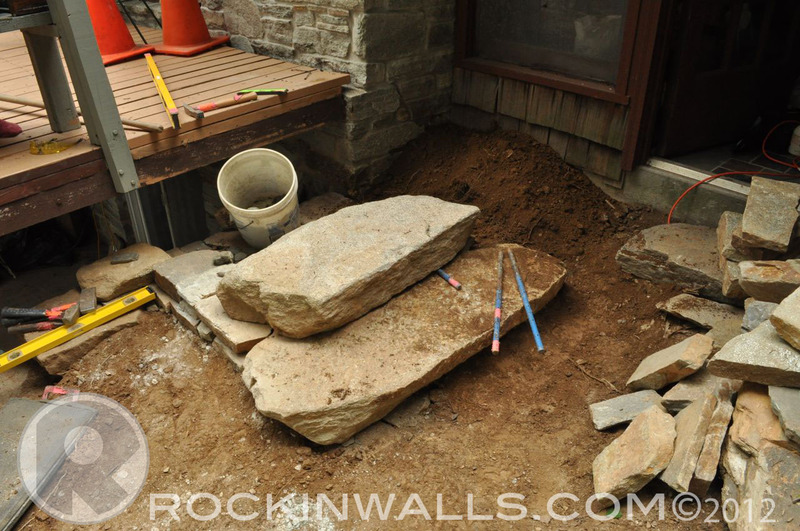 Shown in this picture are some large stones for steps. Once I get the stone into the desired location. 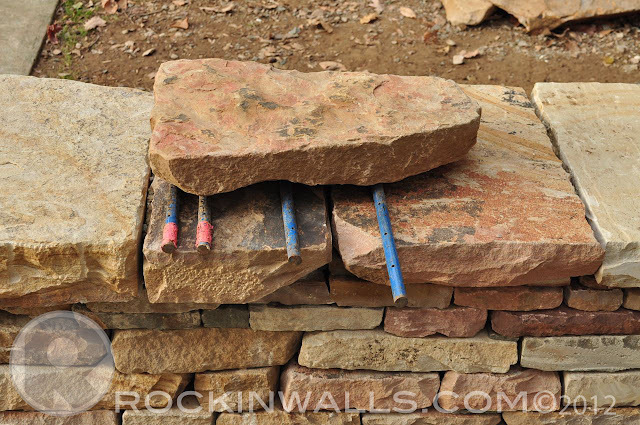 I'll use a 4x4 board with a pry bar to lift the stone on one corner in order to pull the stake out from underneath. When you work alone this can be a little challenging to get the right angle to lift of the stone then find a way to pull the stake. 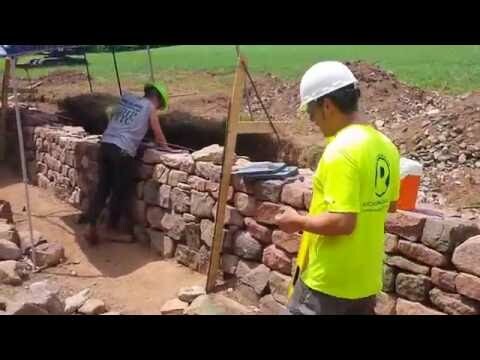 When I was in Canada working on the stone stable they said the roof would be set on the structure with ice blocks. The ice blocks would be placed on the top of the structure between the roof and the building. This way the straps could be removed and the roof would slowly settle on its own. This makes good sense to me. I'm sure a line item for ice blocks on a customer's invoice might raise a couple questions. Can't wait to try that on one of my builds.